Explore Haunted Mansions with Luigi! 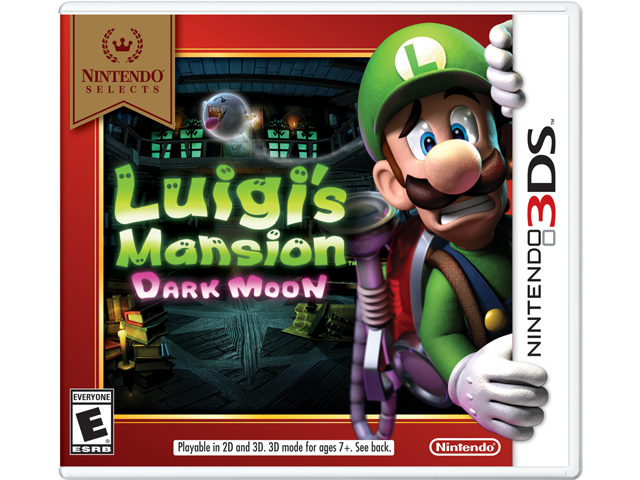 Guide clumsy Luigi™ through massive ghost-infested mansions on an action-packed hunt for the pieces of the Dark Moon. Armed with the ghost-sucking Poltergust 5000 and other new gadgets, you'll have to capture ghosts, solve puzzles, and battle monster-sized bosses. Can you and Luigi build up the courage to save the day?